Despite current patient safety procedures and error reporting systems, errors in medicine still occur and commonly go unreported. A near miss is a type of medical error that is either corrected before it occurs or action is taken to prevent the mistake from causing harm to the patient. Analyzing these near miss scenarios can provide a wealth of educational and training opportunities; however, currently there are scarce examples of near misses available in the neurosurgical literature. 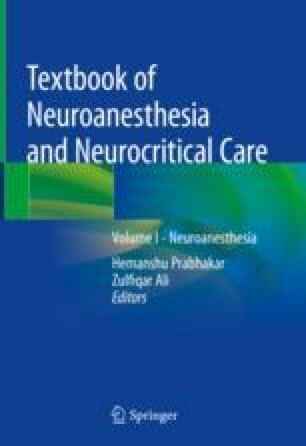 The current neurosurgical literature provides near miss scenarios involving difficult intubation and extubation, incorrect drug administration, wrong-level spinal surgery, intraoperative macroglossia, and retained foreign bodies. Analysis of malpractice claims found that spinal neurosurgery had the second highest incidence of errors, outnumbered only by gastrointestinal surgery; clearly the neurosurgical field has yet to devise a system that allows for the consistent and accurate reporting of errors and near misses, considering the sensitive nature of this topic and scarcity of literature. Our systematic review intended to identify the aforementioned cases, discuss the nature of errors (human or device related), and summarize the preemptive measures meant to improve technology and surgical/anesthesia care performance. The neurosurgical community is working on creating limiting errors programs by adapting successful error reporting models. We acknowledge the editorial support of Drs. Gurneet Sandhu and Juan Fiorda. The Joint Commission. Universal protocol. www.jointcommission.org/standards_information/up.aspx. Accessed 2 Apr 2018.